One of the strengths of many collections held by the Texas Historical Commission’s (THC) historic sites is the number of site-specific artifacts each has to exhibit. These artifacts help tell the real stories of the people who owned and lived in each property. Through ongoing research, we can often document items in the artifact collections to add to the information we have on the lives and tastes of these former residents. At Starr Family Home State Historic Site in Marshall, existing family information attributes the monumental half-tester bed displayed in the east wing to renowned New Orleans furniture maker Prudent Mallard. 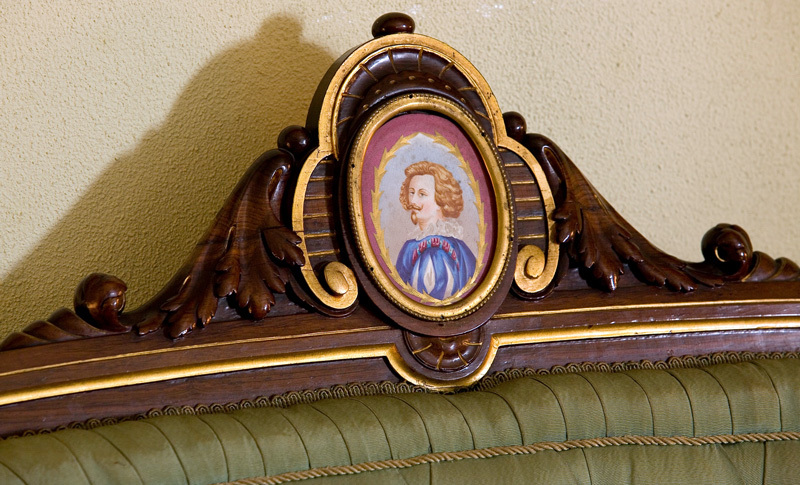 Now, with a bit of online detective work, THC staff has uncovered new information about a particular set of parlor furniture displayed at the site. After discovering Google images of a very similar furniture set from a 2009 auction in Illinois, staff members determined that Starr’s set is from Pottier and Stymus—another one of the most important furniture makers of the 19th century. The three-piece set—comprised of a sofa, armchair, and side chair—was likely owned by Clara Clapp Starr’s parents George and Sarah Clapp and used in their house in New Orleans. This is the same home in which the Prudent Mallard bed was originally used. 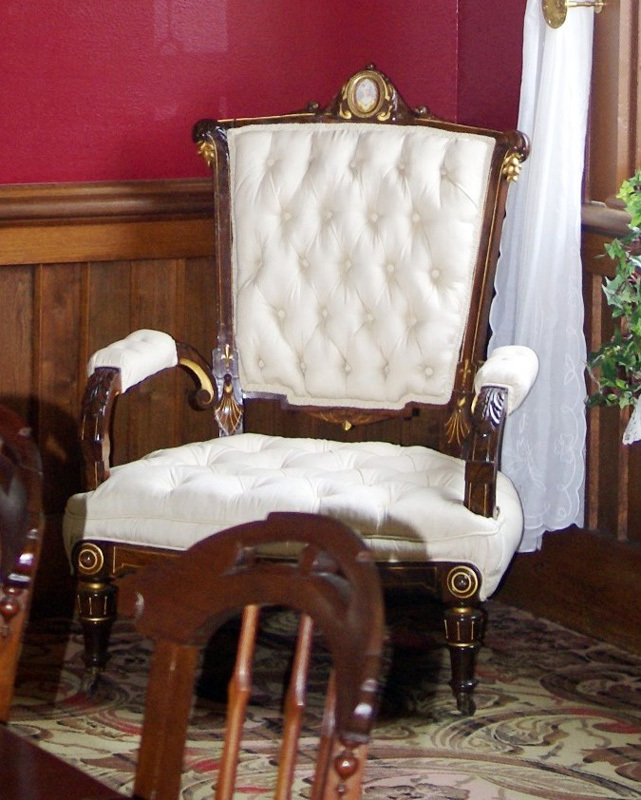 The parlor pieces are in the Renaissance Revival Style, popular from the 1840s through the mid-1870s. 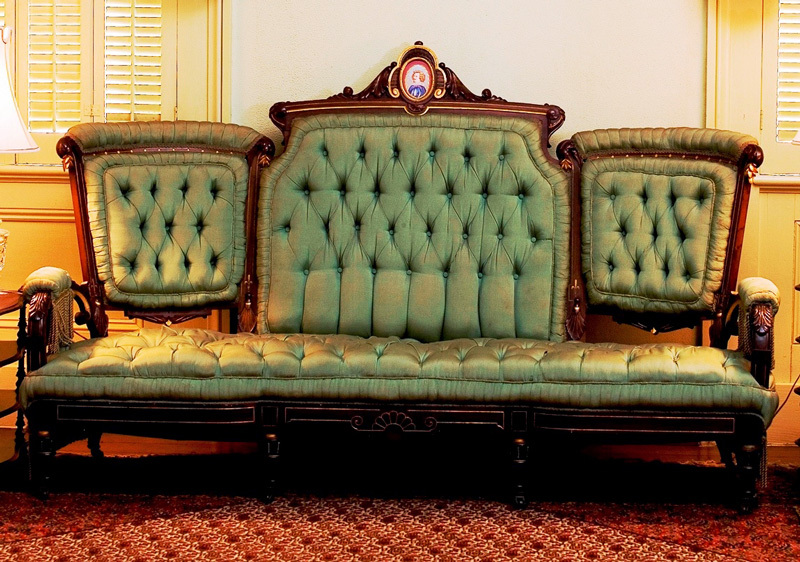 Two of the three pieces at the Starr Family Home are still covered in what is probably the original upholstery, a blue-green silk with deep fringed details popular for high-style furniture of the period. This set has been matched to a pattern attributed to the New York firm Pottier and Stymus, whose business began in 1859. They were one of the most prominent designers and manufacturers of high quality furniture and cabinetry in the mid-Victorian Era. Pottier and Stymus made furniture in the Neo-Grec, Renaissance Revival, and Egyptian Revival styles. Their client list included commissions in 1863 and 1869 for the White House under the administrations of presidents Andrew Johnson and Ulysses S. Grant. A large conference table made for the Johnson administration is still used in the Treaty Room of the White House. Other prominent clients of the company during the 19th century included Thomas Edison for his Glenmont Estate, railroad magnate Leland Stanford, George Westinghouse, Frederick Steinway, the Waldorf-Astoria Hotel, and members of the Rockefeller family. Pieces of Pottier and Stymus furniture are currently held in the decorative arts collections of many major museums, including the Metropolitan Museum of Art. 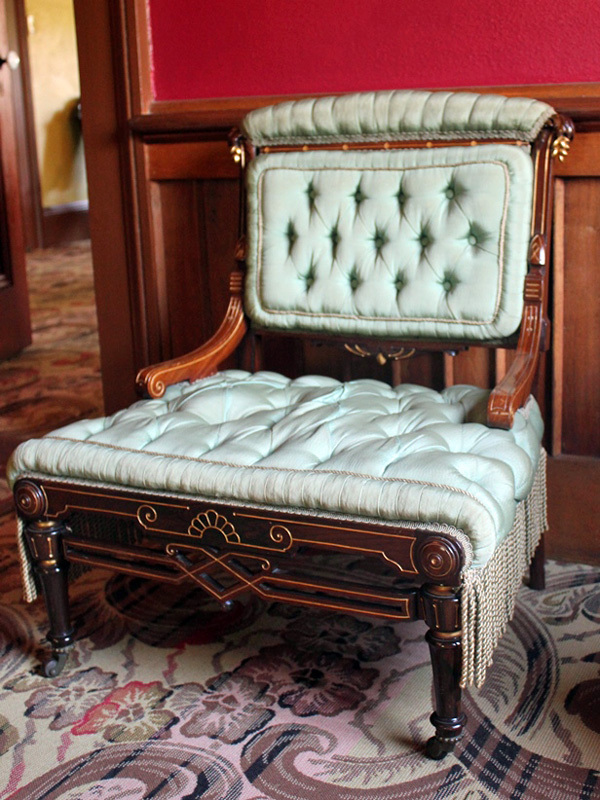 While the parlor set in the Starr Family Home collection was likely purchased from the Pottier and Stymus catalog of goods (rather than being produced as a custom commission), furniture of this quality illustrates the expense and taste with which the Starr and Clapp families furnished their homes. Detail of Pottier and Stymus sofa at Starr Family Home State Historic Site.